Solar panels attract birds quite easily due to their installation on your roof. The installation of solar panels on your roof offers the perfect space for birds to roost and nest under them. 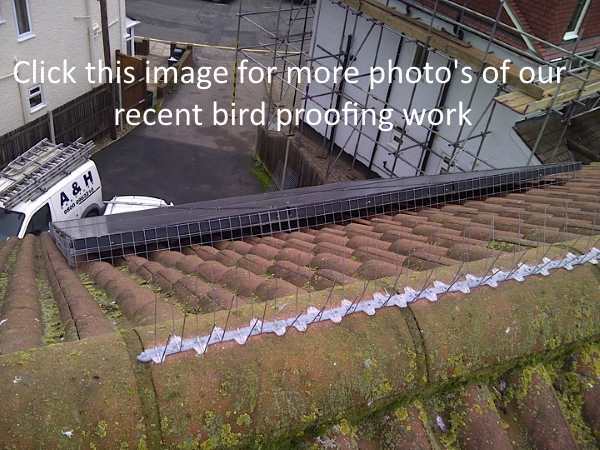 The solar panels usually emit warmth around the year which is another benefit for birds. Not only birds but the insects and lice inhabiting the nest will benefit from these panels. Solar energy is wasted in the process and efficiency is lost. If you need the solar panels to prevent loss of energy and waste of money in the long run, you need to bird proof these panels. Here are important reasons to bird proof the solar panels in your home. Solar panels are a great way to fulfill your energy needs. You can also earn money by selling back excess electricity to the grid. Bird droppings and bird nesting issues will drastically drop the performance of your solar panels. The solar panels are unable to collect light and produce electricity due to bird droppings. The panels must be kept in pristine condition at all times to maximize the performance of these panels. If you have 50% of bird droppings on the solar panels, it can result in a 50% reduction of energy. If the whole cell is covered by any chance, the energy conversion rate of that particular cell will become zero. Bird proofing these panels will help improve its efficiency and productivity in the long run.